Many people speak of a paradigm shift and living consciously. What does that mean? To Golden Sol that means taking positive action to uplift your community. Living consciously is not part of a new trendy lifestyle, it is about believing in the consequences of actions. 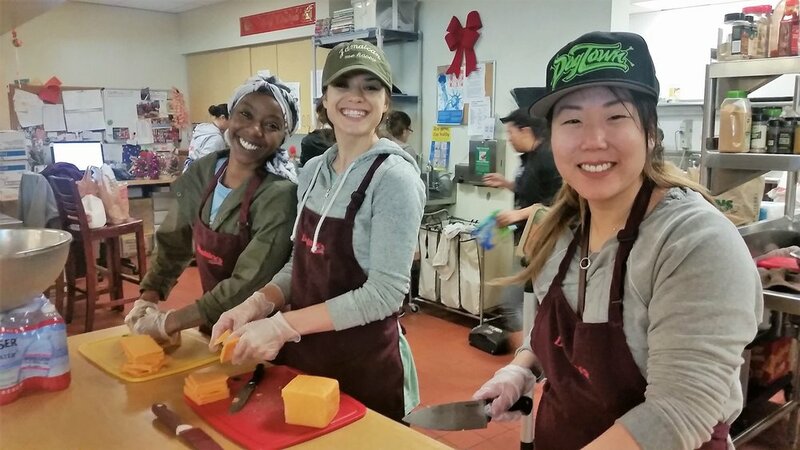 Our focus has been to help bring comfort to the homeless women of Los Angeles by supporting the Downtown Women's Center. It's not a fad, it's making a change. DWC is the first center in Los Angeles to serve the homeless women population. They do great work in empowering women and we are dedicated to helping them make lives better! You can learn about them here. 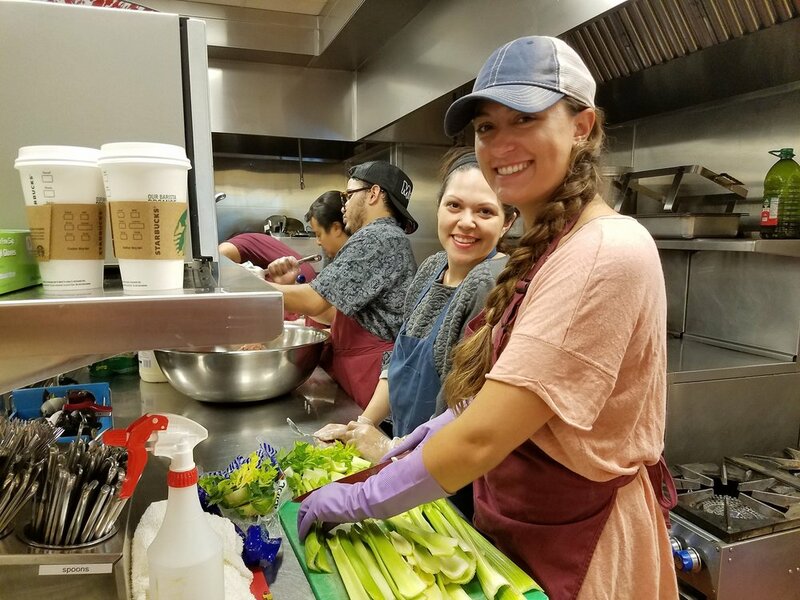 You can join us on the first Sunday of every month to volunteer at the center. It's fun and it's free, just send us an email for more info. You can also help us continue to provide meals by giving a financial donation to the food fund. All contributions will be used towards food and necessities for the monthly lunches.